Belimo ZoneEaseTM VAV is the most innovative VAV-solution that simplifies the commissioning process. It provides commissioning support via the cloud to enhance the user experience and reduces project complexity and downtime while increasing connectivity, data transparency and cost-efficiency. Available only in Asia Pacific. Swiss quality ZoneEase™ VAV ensures efficient installation and commissioning, optimizing zone comfort through intelligent control, and can be connected by common BACnet MSTP protocol,. Tested quality: To ensure ZoneEase™ can perform to the highest levels of quality and reliability, it was tested in a dedicated thermal chamber in Belimo's headquarters. Full traceability: ZoneEase™ VAV is made traceable during configuration, calibration, and commissioning, allowing customers to instantly monitor progress. Quiet but quick: ZoneEase™ VAV runs quietly during normal operation. When customers initiate a boost request, it runs at maximum speed. CO2 quality sensor: Installation of an optional CO2 sensor allows advanced zone air quality monitoring. Mobile tool: Our user-friendly app helps users to monitor, configure, commission, and control individual VAV control actuators directly at the room unit, ceiling sensor or actuator using NFC technology. Health analysis: Health and fault analysis of VAV systems provide better insights of the VAV condition. Complete system data: All system data is stored in the cloud; access to this data is safeguarded with a user account and password. Fan Optimization: ZoneEase™ VAV detects and flags insufficient duct statics over BACnet. 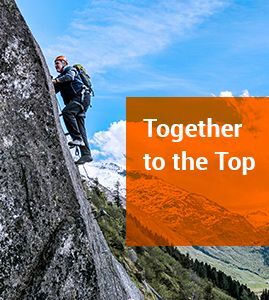 Certified partners: Our Belimo certified partner program promotes professionalism and quality deployment of VAV systems. Quick changes: Changing design data, such as Vmin and Vmax, or temperature calibration is simple using our password-protected app at the room unit/sensor. Fast service: Belimo certified partners as well as cloud and app technology allow faster service. Log on to the Google Play Store, to download the Belimo ZoneEase App for free. Log on to the Baidu Store, to download the Belimo ZoneEase App for free. 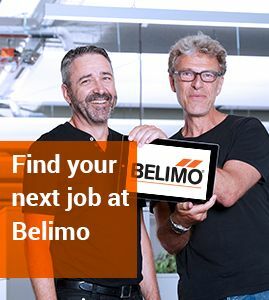 Access the Belimo Cloud for easy commissioning and remote monitoring.